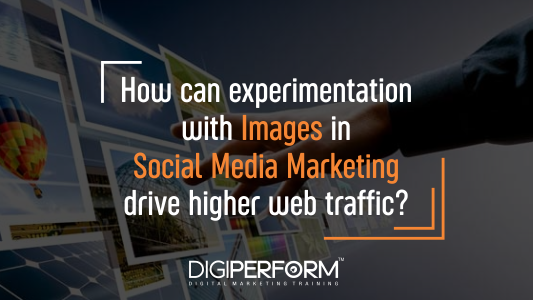 Digiperform > Blog > Business & Digital Marketing Tips > How can experimentation with images in Social Media Marketing drive higher web traffic? How can experimentation with images in Social Media Marketing drive higher web traffic? It will be utterly unwise to be complacent with your marketing strategy especially when you want to make the best use of the different social media platforms such as Facebook, Twitter, Instagram or any other for that matter. Most marketers today make changes in their marketing materials and contents every day and since everything is digital now, this is not a difficult task to do. 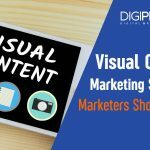 Therefore, if you are using visual content such as pictures and videos for your digital marketing strategies make sure that you tweak your photos part from making the necessary changes in your content as and when required. This will keep the content fresh and interesting in inviting more visitors and click-through that will eventually raise the traffic to your site. Over the past few years, Instagram has done a great job in helping businesses and marketers to promote their products and services. And, reach out to more and more people in an instant. This is the result of popularizing the notion of filtered images. If you are unaware of these filters then you are surely missing on something big in terms of your business opportunities. There are several pre-built filters provided by this platform that will help you to edit the photos to create a high-quality picture. The principal appeal of using these filters is for the majority of smartphone users. The cameras in these phones offer a decent image performance due to these built-in filters as compared to any compact digital cameras. It is just a few years ago that the concept of basics items in terms of white balance, saturation and color contrast came to be more predominant in the contents used in different social media channels and websites. Moreover, the default camera app of the phones previously did not provide much control by the user over the initial image capture. This resulted in average quality photos. Now the users can make their decisions regarding the most important and basic requirements of a photo in terms of exposure that can be adjusted as per the requirement. As a result, you get better pictures having higher resolution due to your greater control over different aspects such as aperture and shutter speed. For all daily users, these filters are typically helpful to add a vintage look to the mode of digital camerawork that has been flourished by orders of magnitude since the smartphones were first introduced in 2007. Moreover, if you are a serious photographer, these filters along with several other post-production image enhancement features will allow you to produce photos that will look more professional and will be liked by all followers for Instagram. This approach of tweaking photos by using the different useful filters built in the Instagram app has also helped the digital marketing communication teams significantly. These are far more helpful in comparison to those third-party photo editing apps. These filters not only allow the marketers to tweak any or all aspects of the image but by using the pre-built filters of this app have also helped them to manage the strength of the filters thereby avoiding then to using these to its full strength. This is especially useful for the marketing communications team because they can also use a dedicated device to post their content to Instagram when possible because Instagram does not actually allow people to manage multiple accounts on a single device. This means that there is no need to log out of the personal account and then log into the official website of the brand making it simple and faster for the users to visit the site thereby increasing the traffic to it significantly. Posting any content to a profile is easy and convenient as there is no scope for and resulting disaster especially if you want to post any personal content to the account of your company. The use of a dedicated smartphone to post the branded contents from DropBox to the IGTV account of your company will separate any aspect of personal use of your team and therefore it will avoid any possibilities of communication mishap. However, if you cannot find any secure and dedicated device, the best option to avoid any errors is to quit each time you log out and then re-launch the app while logging in with the credentials of your company. This will eliminate the chances of posting to any wrong account accidentally as it is seen by the anecdotal reports in the past. Moreover, if you are using an employee-shared device then you should avoid sharing to other social media platforms directly. The main reason for this is that you may occasionally post to an incorrect social media account especially if you have to juggle with multiple accounts on Twitter, Facebook, and several other social media channels. Experimenting a lot will let you know about the newer and better ways, especially when you know that social media platforms are ever evolving. This means that what worked best for your business last year may not necessarily work equally well this year. Moreover, the tastes, expectations, and needs of the users are also evolving along with the social media platforms and therefore experimentation is the key to success in your social media marketing efforts and to get more traffic to your website. In addition to that, when you conduct little experiments here and there you will be able to see what specific type of contents, strategy, and tone is most effective for your type of business and is liked by most of your followers. Lastly and most importantly, since the platform itself is in a continuous state of flux with the introduction of newer features such as direct messaging, video and animation support, it is wise and helpful to play around with these new features to find out what it can bring to the table in engagement and traffic. How to Improve Social Media Skills in Business?